I don’t know about you but I feel like anything and everything is going around. Everywhere we go people are sniffling and coughing and stressing this mama out! This time of year you just never know when the sickness is going to strike but let me tell you, I am ready and prepared. For moms, there is nothing worse than being sick! Moms are NEVER and I mean NEVER allowed to take a sick day. It’s just not possible. So, when I get sick I have to make sure I have my get well kit ready to go. One of the things I like to do is to make sure that when we are sick we are eating well. 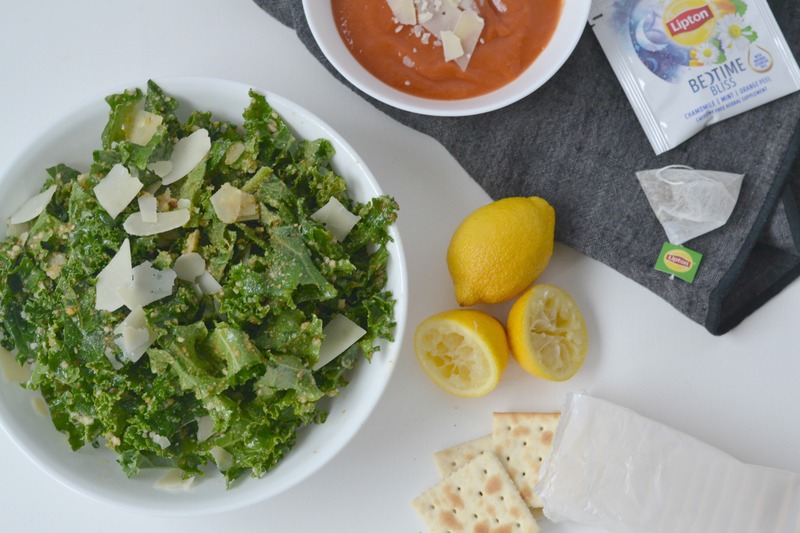 This super food savory kale salad is one that I always turn to. It is perfect for lunch and and an awesome side for dinner! Directions: In a shaker jar add olive oil, lemon juice, crushed red pepper, salt and shake generously. 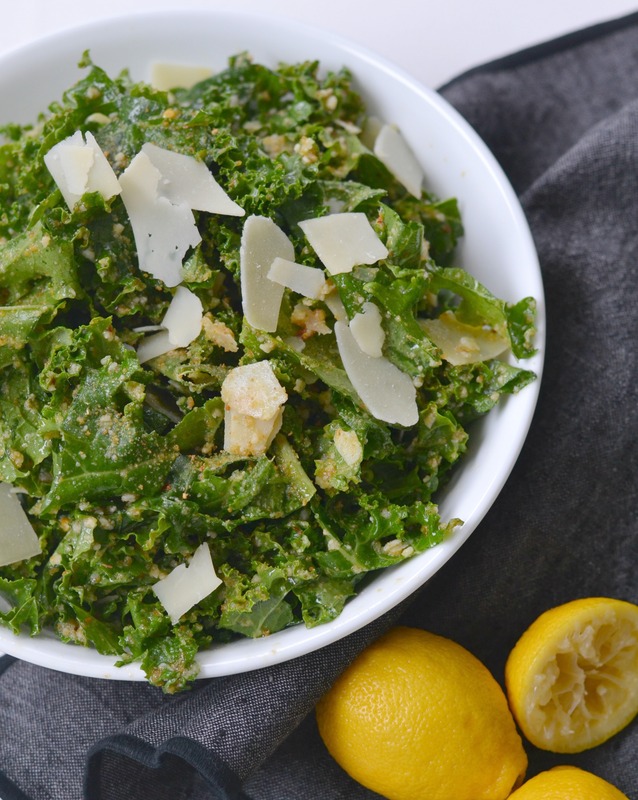 In a large bowl add kale and grated parmesan cheese. 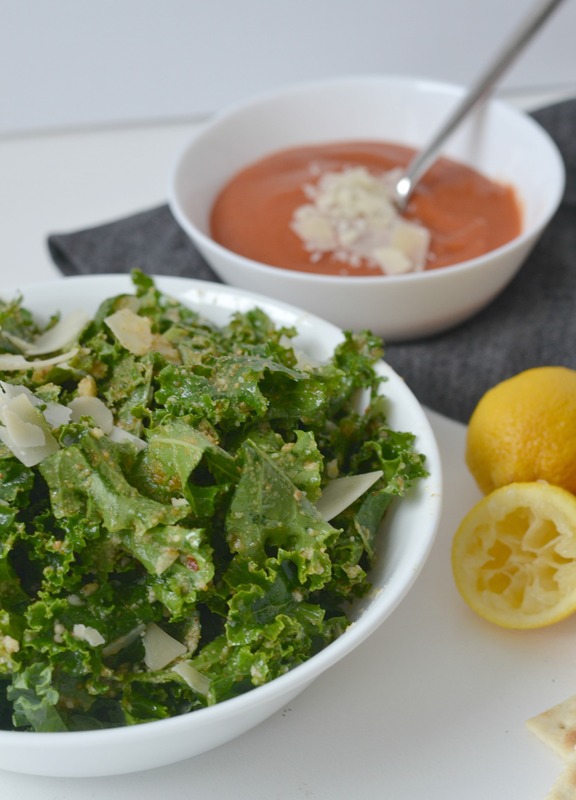 Once bread crumbs are toasted add them to the kale while hot. Pour dressing over the top and toss. Allow salad to sit for at least 10 minutes to wilt. Serve and enjoy! Eating right and getting good nutrients into your body is so important but we all know that some other staples are definitely needed! To stock up I headed to Kroger and picked up some of my favorites to get back in the groove quickly. 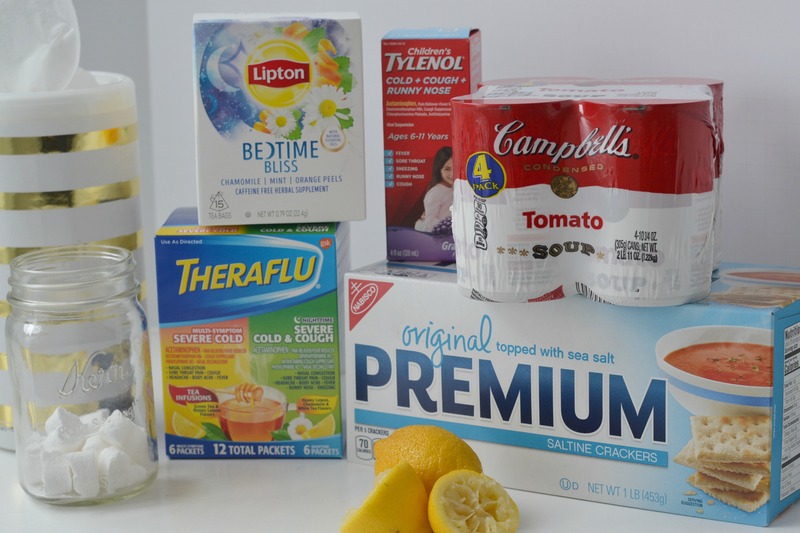 Here is what you need to grab for your perfect Get Well Soon Kit! 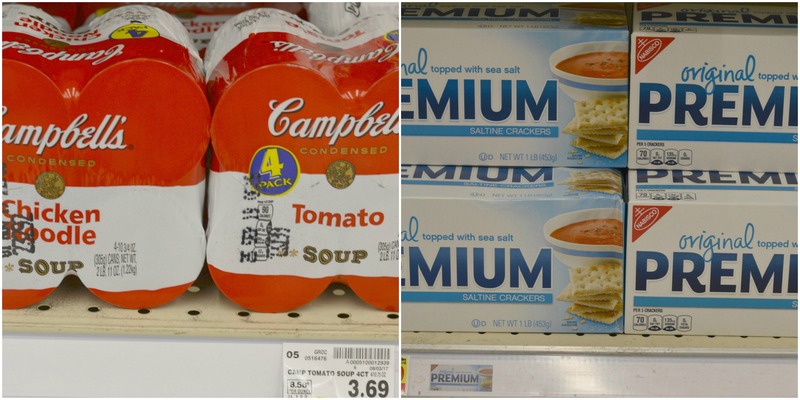 Campbell’s Soup– Comfort foods are a must and Campbell’s Tomato and Chicken Noodle Soup are perfect! Premium Saltine Crackers– These crackers are perfect for upset stomachs and are always delicious dipped in my Campbell’s Soup. Theraflu Severe Cold and Flu Tablets– We all know that Theraflu is amazing when dealing with the flu but when you can’t get to the doctor soon enough, these tablets are powerful even without a prescription. 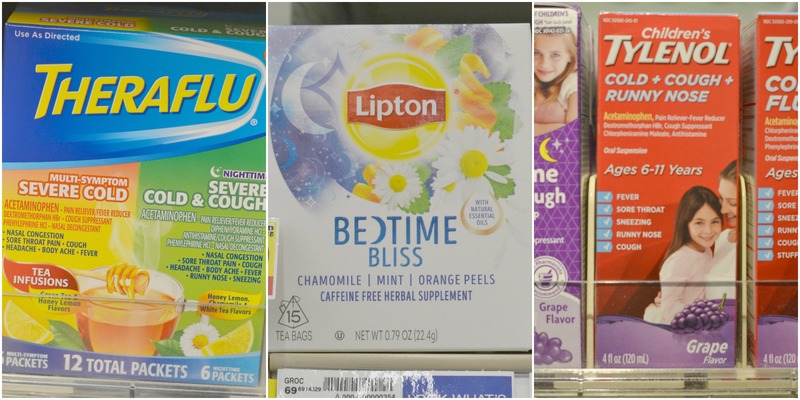 Lipton Bedtime Bliss– When I am sick getting relaxed enough to sleep is always so hard. This Lipton Bedtime Bliss is like a lullaby in a cup and gets me dosing off in no time. Children’s TYLENOL® Cold – Multi-symptom cold and flu relief– When mom is sick you never want to have to run out and buy anything even if it is for the kids. I always keep Children’s Tylenol on hand just in case our sickness passes through the house. With all of these goodies in my kit ready to go I am hoping to combat this cold and flu season this year. Moms, run to Kroger today to make sure you are prepared and ready to go!